We are a skilled nursing facility offering quality rehabilitative care as well as excellent long-term care. We recognize how important it is to select the right health care option to meet your individual needs. 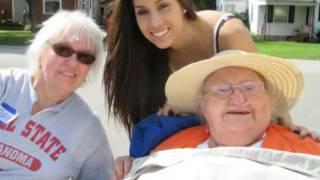 Colonial has the programs and support services to assist you and your loved one as their care needs increase or decrease. Here at Colonial you will find all the comforts of home. The environment is clean, caring and friendly. We encourage our Residents to decorate their rooms just like they would at home. 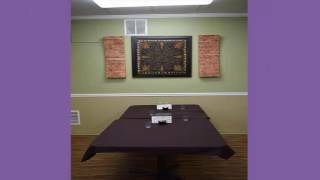 Our lounge and activity area invite times of friendship and fellowship. 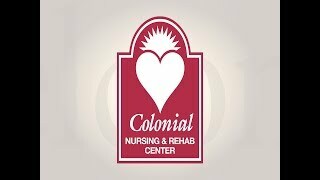 We value our home and treat each Resident like a member of the Colonial family! The passing of my mom, Stoyana was difficult even though I knew it was inevitable, which is why I want to thank you for the flowers I received it was very thoughtful. My mother was in another facility before Colonial, and I was frequently contacted regarding incidents, behavior, and I had to address the facilities inaction to change her medication as a result of behavior issues. So aside from frequent visits, I always had to keep a close watch on my mom to make sure she was alright. So, when I first came to meet with you in October last year, I felt very comfortable in my decision to have my mother admitted to your facility. I found that the environment was peaceful, and for me it just felt more like home. During my regular visits that I had with my mom, I could see the individual attention that each resident received from the staff. Although my mom was only with the staff for a short period of time, I knew that she was more at peace, and that she received the attention that she deserved. I got to know some of the staff, and I am thankful that they are such caring individuals. My experience went from a questionable environment in a prior nursing home to a positive experience at Colonial Nursing & Rehab. and for that I am thankful.